These problems aren’t specific to one industry; across the board, whether you’re building software or cars, office equipment or fiberglass speedboats, your business has been plagued by these issues. 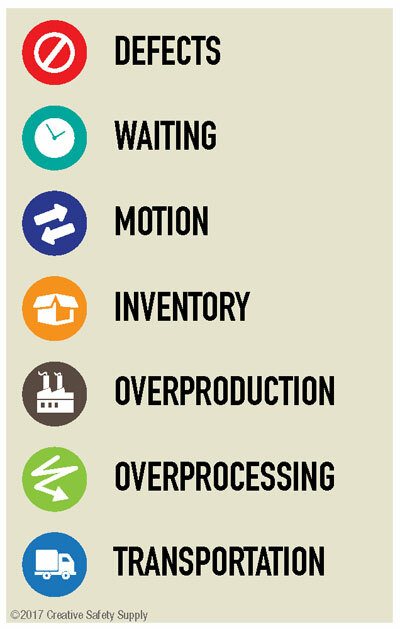 The 7 Wastes of Manufacturing were the catalysts that made business pioneers begin to think differently about how we make things, which led to the formulation of all of the elements that compose Lean. 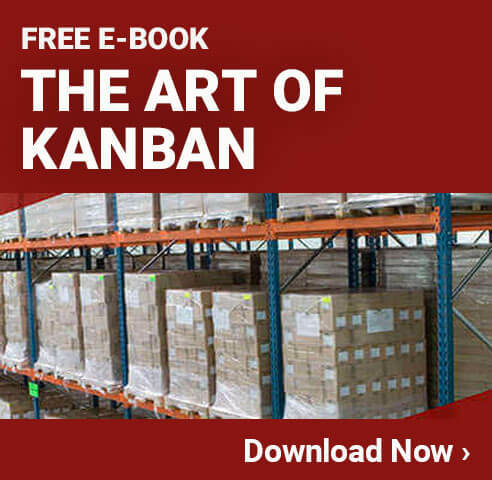 First recognized by Toyota Production System architect Taiichi Ohno (who also developed the kanban system), these forms of waste include anything beyond that which is strictly necessary to deliver a quality product to a customer as quickly as possible. If two bolts are required to assemble a widget, a third bolt off to the side of the workspace is waste. If a task calls for an employee to walk forward three steps to retrieve supplies, taking a fourth step would be waste. Lean methods for workspace organization will help combat waste because it requires a thorough inventory of each workspace, and then a frank analysis of whether or not each item within the area is needed to complete the specific tasks that are executed for that specific work area. If an item isn’t deemed unnecessary for the area, then it is removed. Furthermore, the items are sorted in a way that makes sense for the production process. These simple practices have improved the efficiency of manufacturing processes and have helped solved the issues caused by the 7 wastes. The above strategies are part of an organizational system called 5S. Of course, these examples are both deliberately minor, to illustrate that Lean Manufacturing methods strive to eliminate all waste, no matter how inconsequential it may seem. After all, if you stack all of the small, seemingly inconsequential issues that occur in production processes, you may end up with a large pile. 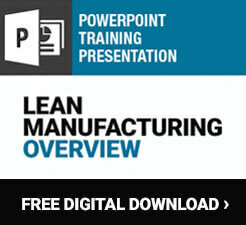 Lean’s philosophy is that there are always ways to improve the process, no matter how small, and the benefits of these improvements will be huge.